When a dead body is discovered stuffed inside a car trunk in the forest outside Rocky Points, Colorado, Chief Detective David Wolf finds himself involved in a case that will rock the local community. But as details emerge, the tension rises higher when it’s clear the driver’s last client was Tom Rachette, Wolf’s loyal detective. Worse yet, Detective Rachette is no longer answering his phone. At the same time, Wolf gets a cryptic email that jars loose war memories he’d rather forget. And it soon becomes clear he must face his past head-on if he wants to save his friend from certain death. Meanwhile, Heather Patterson, Wolf’s former detective who has since moved on from her days in the Sluice-Byron County SD, receives a cryptic message herself. She’s left the department to forget brutal events that now have her cracking at the seams. But ready or not, she has no choice but to step back into the fire. Because the messages contain a lot of blood and demand two things: Find David Wolf and come now. Or he dies. This harrowing tenth installment of the David Wolf mystery-thriller series will keep you guessing until the very end. Join the adventure and watch Wolf and his friends as they’re pushed to their physical, mental, and emotional limits untangling clues from the past and present so they might live to see another day. 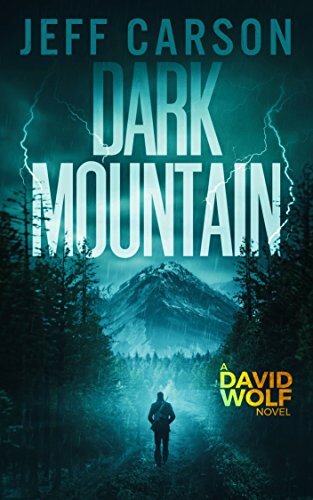 Dark Mountain is the tenth novel of the popular David Wolf Mystery-Thriller series, which has more than 1,500+ five-star reviews and hundreds of thousands of readers and counting. If you love page-turning mystery, suspense, action, humor, a little romance, and the scent of thin Rocky Mountain air, then the David Wolf mystery-thriller series is for you. David Wolf books can be enjoyed stand-alone or in chronological order. Enjoy these top-rated mystery-thriller books FREE as part of your Kindle Unlimited subscription. You can read the eBooks on your Amazon Kindle Fire, on a computer via Kindle Cloud Reader or on any smartphone or tablet with the free Kindle reading app.